RBTH presents a selection of views from leading Russian media on international events, featuring reports on Russian President Vladimir Putin’s message to his U.S. counterpart Barack Obama on July 4, the continuing international negotiations on Iran’s nuclear program, and the ongoing protests in Armenia. In his message of congratulations to Barack Obama to mark U.S. Independence Day on July 4, Russian President Vladimir Putin urged the U.S. leader to establish a dialogue on the basis of equal rights and mutual respect for each other’s interests. 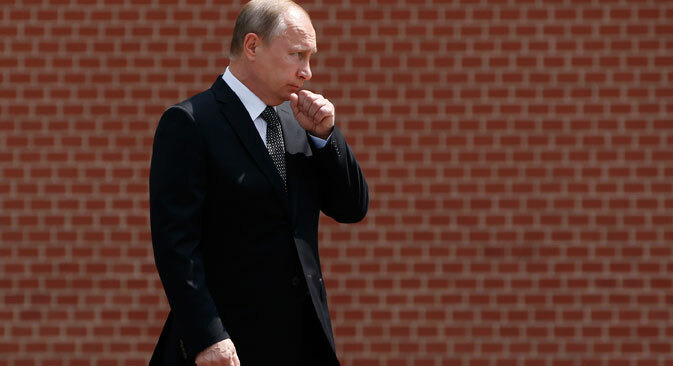 The centrist newspaper Nezavisimaya Gazeta writes that despite a dramatic deterioration in relations, Moscow and Washington have shown that they are capable of cooperating in those spheres where their joint participation is essential. Furthermore, in her address to voters, Hillary Clinton, who is viewed as one of the leaders in the U.S. presidential race, also called for cooperation with the current Russian authorities. According to Western media, for the Russian side, Clinton may become an even less convenient partner than Obama, writes the publication. The incumbent U.S. president values the legacy of the “reset” in bilateral relations, whereas a foreign policy heavyweight like Clinton will be developing relations with Russia on the basis of the tough current political reality. “It is only with time that it will be possible to assess how serious the intention toward a dialogue is,” Valery Garbuzov, deputy head of the Russian Academy of Sciences’ Institute of U.S. and Canadian Studies, told Nezavisimaya Gazeta, adding that a dialogue would be possible only if both sides are ready to make concessions. “Although Obama did not congratulate Putin on Russia Day, [U.S. Secretary of State John] Kerry did. However, it shows that the level of relations has been lowered to that of the Department of State,” said Garbuzov. Commenting on Obama’s prospects, Garbuzov suggested that the U.S. president realizes that problems with Putin will not be resolved before the end of his second term in office. Therefore he will try and make sure that “the door of mutual cooperation” is left ajar, with the task of working out the specifics to be carried out by the next president. If that next president is Clinton, it will be rather hard to engage in her in a dialogue, said Garbuzov. The Kommersant business daily reports that the future of the agreement on Iran’s nuclear program will be decided in the near future. It is expected that the foreign ministers of the P5+1 group of mediators (the U.S., Russia, China, the UK, and France, plus Germany) and Iran, who are gathered in Vienna, will mark the long-awaited deal at an official ceremony, with a UN Security Council resolution to be adopted later to support the deal. According to Kommersant sources close to the talks, a mechanism for lifting international sanctions against Iran and reintroducing them in the event of non-compliance has been practically decided: This will be done via a UN Security Council resolution. However, its validity will have to be constantly extended and should one of the permanent members of the UN Security Council have doubts that Iran is sticking to its side of the deal, it will be able to apply its right of veto and block the extension. This mechanism will allow both Iran and the U.S. to save face, the paper points out. There is also progress, Kommersant continues, in addressing the issue of what is to be done with Iran’s surplus enriched uranium: The bulk of it will be moved to Russia. A Russian diplomatic source told the newspaper that in return Moscow will supply either natural uranium to Tehran or ready-to-use fuel. This is unlikely to generate any profit for Russia, but it would become yet another contribution that Moscow is making to resolving the Iranian nuclear issue, writes Kommersant. In addition to receiving Iranian uranium, Russia, according to the newspaper’s sources, is ready to take part in transforming the Fordow site in Iran into a research center. The business magazine Expert continues to follow the ongoing protests in Armenia, saying that the situation is once again becoming explosive. The authorities have offered a compromise to the protesters, having promised to de-facto keep electricity prices at their previous level, writes Expert. In the wake of this announcement, a large section of protesters obeyed the police and moved their protest to Freedom Square. However, the more radical demonstrators remained in Bagramyan Avenue. Naturally, the magazine continues, the protest had begun to weaken due to a loss of momentum combined with very hot weather. Then some of the protest leaders decided it was time to heat things up and presented the authorities with an ultimatum with a deadline, which falls on the evening of July 6. Their demands include canceling the decision to raise electricity tariffs, reducing the current tariffs, punishing police officers who dispersed protesters and dropping charges against protest organizers. The authorities are treating the ultimatum with the utmost seriousness, writes Expert. The magazine adds that the real reason behind the protests is the inefficient and corrupt system of state governance. “This is why perhaps the presidential administration should indeed call an early parliamentary and presidential election,” writes Expert.